Tell the world you're a fashionista in these trendiest of spring-into-summer earrings! Grab your bag and your shades and let's go shopping, girlfriend! 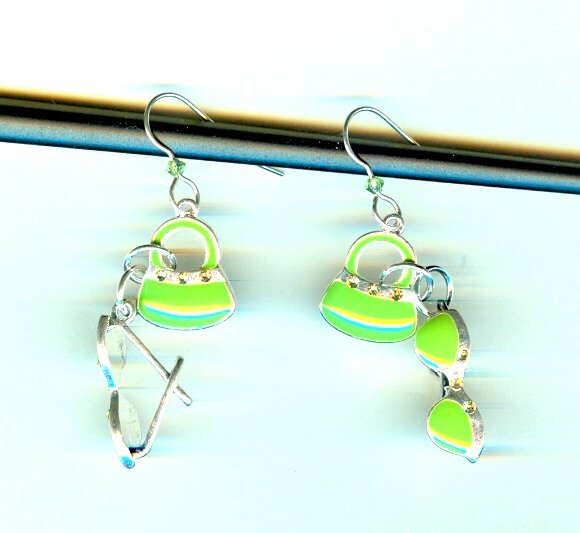 At least you can pretend you did in these adorable green dangle earrings. 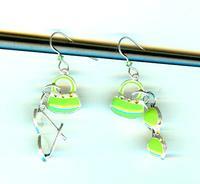 Each one features enameled and bejeweled purse and sunglasses 3-dimensional charms. 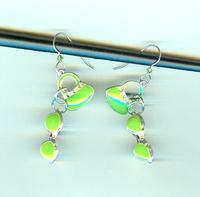 The charms are suspended from sterling silver hooks, each threaded with a tiny Swarovski crystal peridot bead. The earrings dangle about 2-1/2" below the tops of the earring hooks. 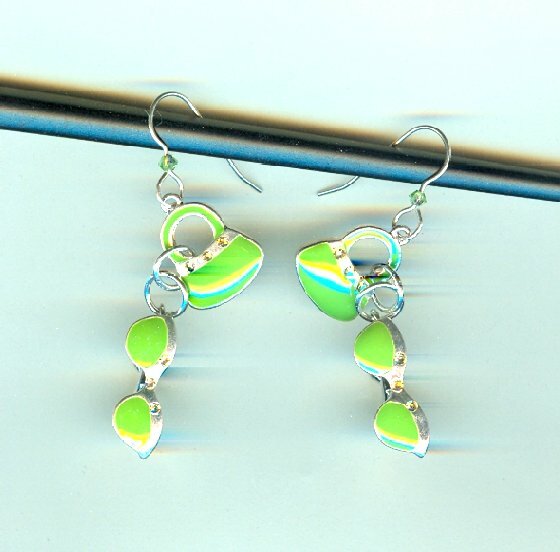 These ultra-cute dangle earrings are brought to you by SPARKLE PLENTY, of course.